The body of Christ can’t be all that it should be unless we mature in our interpersonal relationships as the Bible commands. 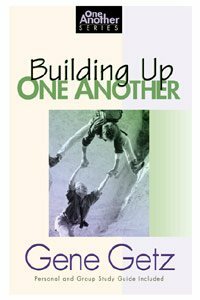 Building Up One Another has been helping believers do just that since 1976, when Gene Getz first published what has since become a best-selling classic. This book, the cornerstone of the well-known “One Another Series,” has now been thoroughly updated and rewritten, drawing upon Dr. Getz’s church planting and “building up” experience. It also includes a personal and group study. Explore with Dr. Getz twelve significant “one another” commands of the New Testament, and follow the practical steps for developing them in your own life and in the life of your church. It’s a long-term building process, but one that pleases God and reaps rewards not just in this lifetime but in the next.